If you follow my instagram you probably have seen that I can not leave this green bag at home since I returned from London! Looks like it is my march favourite. Also I recently visited a Mango outlet and found these amazing pair of flats! I never owned a loafer before but I really wanted one for a while and this one with the chain detail seems to be the perfect one for me! 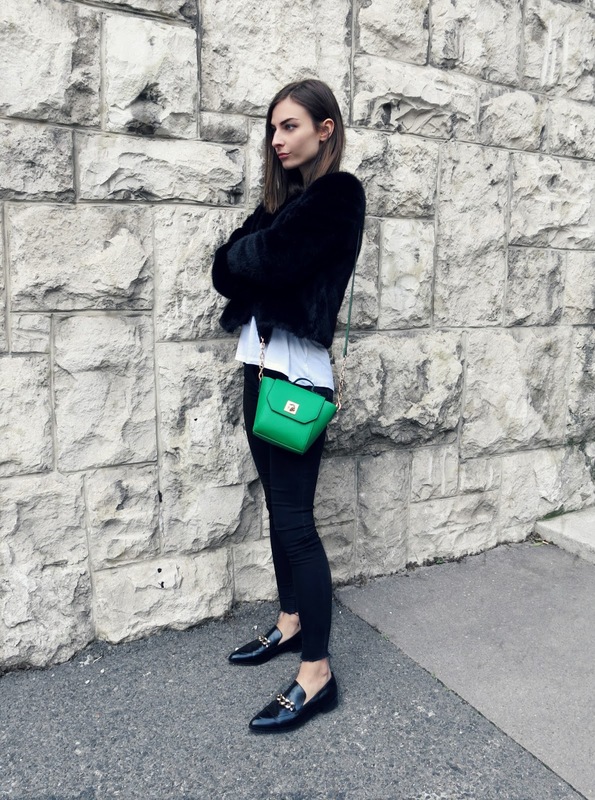 If you are looking for a cool pair of loafers or bag to make your look more unique tahn check out my selection of favourites below the pictures!